In an effort to make this section more up-to-date, here’s a reminder of Avant Gaga #9, the experimental poetry event I’ll be reading at this coming Tuesday. The night will feature a rollcall of great Australian/Sydney poets/writers — however you might variously classify Ross Gibson, Astrid Lorange and Pam Brown (replacing Justin Clemens). I’ll be reading new material from False Nostalgia, a project I’ve been working on through a mentorship with Ross (thanks to JUMP mentoring) and while on a residency in the mountains (thank you Varuna). Avant Gaga is at Sappho’s in Glebe, Tuesday 11 February, 7pm. 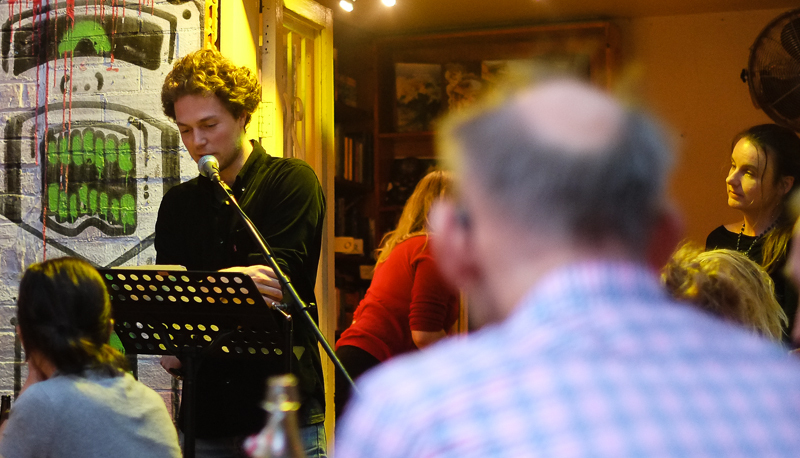 It’s hosted by Toby Fitch, whose astute approach to these nights is to keep poets reading for less than 10 minutes and open mic’ers for less than 2.